The project, aptly called BRAIN, an acronym for Brain Research Through Advancing Innovative Neurotechnologies, has been given an initial $100 million investment, announced by President Obama, who probably wants to know why zombies find them so tasty. In his speech Obama said “There is this enormous mystery waiting to be unlocked, and the BRAIN initiative will change that by giving scientists the tools they need to get a dynamic picture of the brain in action and better understand how we think and learn and remember. And that knowledge will be transformative.” (unfortunately no mention of zombies ). In Europe there is a similar endeavor to study the brain; the European Union recently announced a nearly €1.2 billion project to computationally simulate the brain. Further details on the European project can be found here. The project has the potential to transform lives in the coming decades; it could allow the diagnosis of mental disorders and the ability to distinguish them from one another. Also, the ability to find the causes of physically debilitating neurological conditions such as Parkinsons and Alzheimers, could allow doctors to reverse these. One of the biggest mysteries of the brain is how it stores, retrieves and processes information. Being able to understand this could have enormous benefit for dementia patients. 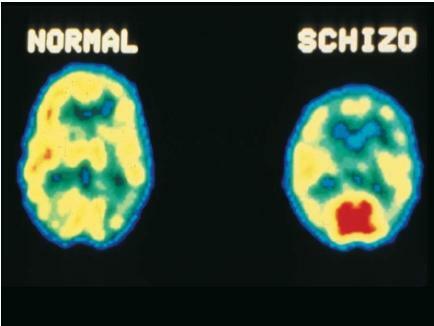 For example, patients exhibiting schizophrenia are known to lose mass in the prefrontal cortex, but scientists have yet to find a way to reverse or cure this. We already know certain parts of the brain are associated with certain activities such as emotion or spatial awareness. Learning how the different area are “wired” together and how the brain goes about acquiring a skill such as riding a bike could lead to enhanced educational strategies and perhaps computer AI’s that can mimic this ability. But this is far from a new endeavor scientists have been studying the brain for years, but until now, the tools haven’t been available to build the detailed pictures at the nano scale of the estimated 80 billion neurons in the brain. It has been possible to study an overview of brain functions via MRI and CAT scans, but in nowhere near the detail that is intended from this project. There are currently a group of neuroscientists at MIT/Harvard that are working on this emerging field, called the “Human Connectome Project”, to map and archive neural circuits of the brain and nervous system (You may have seen their work on the cover of a Muse album). They have already been able to build limited images from data on neuron connections. Undoubtedly, this research will further drive advancements in other areas. Nanotechnology has made much of this possible; the initial step will be to develop the necessary tools, the nanoprobes and sensors required to look into the brain, optical techniques that would have been unthinkable a decade ago. Unlike other such projects where an end goals is defined, BRAIN researchers have yet to decide what the end goal is. Rather, the intrigue lies in the voyage of research, the discoveries and insights that reveal themselves will have far reaching repercussion. Exciting times are ahead.